They say there is no money in poetry but there is no poetry in money. Some things though are more important than money like ones soul. I’ve deliberately chosen a genre very different than any I have written before and indeed a very difficult genre as I want further my education as a writer and because I don’t believe there is anything quite like it available elsewhere. Though there is much in the way of poetry about the positives in life, happiness, love and friendship, not everyone is fortunate to be in a position to relate about such feelings. Whilst others have a bad day once in a while, others have a good day once in a while and that only if they are lucky. Very Sad Poetry is book of 50 poems dedicated to those who’ve known loss, deep sadness or loneliness and contains poems that could be said relate to feelings of depression or suicide with others dealing with experiences in a more light-hearted sort of way with dashings of gallow-humour. I hope it will be comforting for those who can relate to such feelings and maybe be of help to them to as well as those who have friends or family in such a situation. 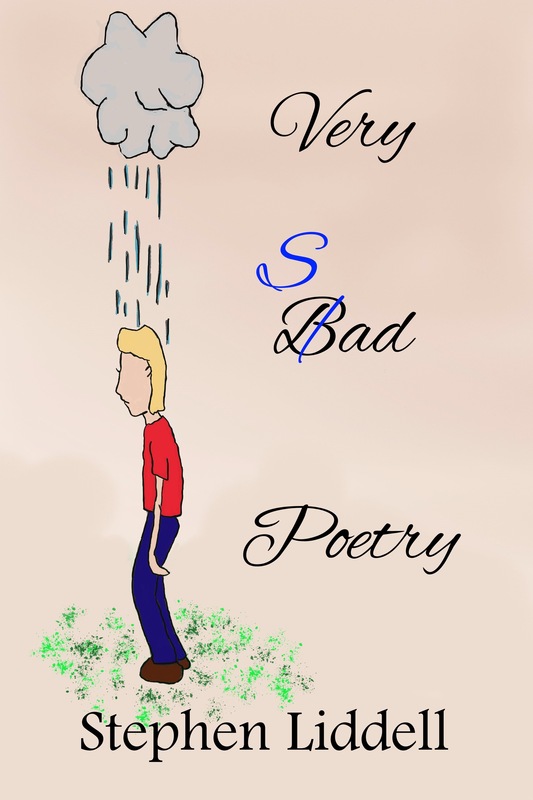 Coming soon, Very Sad Poetry will be available in Paperback around the world on Amazon, Barnes & Noble and all good book stores as well as on Kindle, Ibooks, Nook and other electronic formats. The book cover below is an excellent realisation by Jo Robinson who created this art so it precisely met my imagination. Simple, minimal, sad and with a touch of humour which entirely suits the poems contained within. Hopefully Very Sad Poetry will be out in a few days time and when it’s ready, I will let you know! This entry was posted in writing and tagged Cover Art, Creatuve Writing, Death, Depression, New Book, Poems, Sad Poetry, sadness, Suicide, Very Sad Poetry, writing. Bookmark the permalink. You are full of surprises, Stephen. And so innovative and industrious! I hope this does well for you – and I love the title and the cover, so I think it will. Thank-you Malla. It is a bit of a departure for me isn’t it? I’m glad that you like the cover and title, it’s quite catchy for a book on sad poetry and hopefully it is self-depreciating as I don’t want to come across as a typical poet! You’re always very supportive of my endeavours Malla and I very much appreciate it. Love the illustration! Looking forward to the book!! Thanks Ekaterina, it is a cute illustration isn’t it. I hope you’re keeping well, thanks for the support as always!